New Delhi, April 16: The BJP Tuesday urged the Election Commission to review its order banning Uttar Pradesh Chief Minister Yogi Adityanath from campaigning for 72 hours, claiming he did not intend to incite communal tension and had only expressed his beliefs. A BJP delegation including Union ministers J P Nadda, Mukhtar Abbas Naqvi and V K Singh also asked the EC to take action against Congress leader Navjot Singh Sidhu alleging that he tried to "spread hatred" with his speech in Bihar's Katihar constituency on Monday. Defending Adityanath, Nadda said, "We have urged the EC to review its decision banning Yogi Adityanath for 72 hours from participating in poll campaign. Yogi ji only expressed his beliefs and did not intend to seek votes or influence any community." "We have requested the EC to review the decision to ban him and keep in view our right to retort and response," the Union health minister told reporters. Yogi Adityanath, Mayawati Banned From Campaigning by Election Commission For Violating MCC. 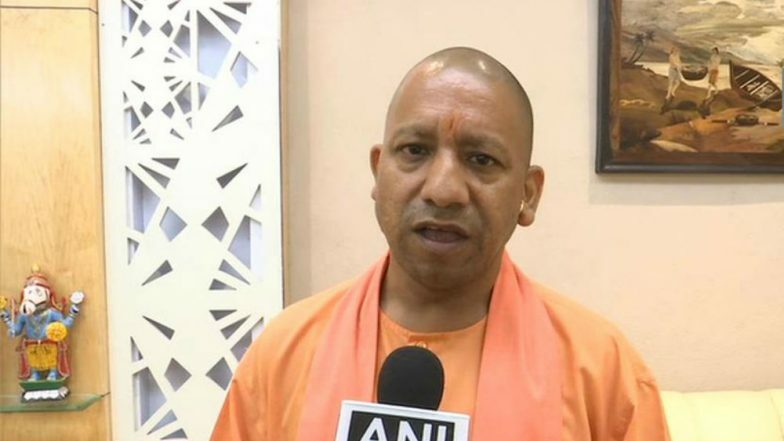 The poll watchdog served a notice to Adityanath on Monday after he, while addressing a rally in Meerut, compared the Lok Sabha elections to a contest between 'Ali', a revered figure in Islam, and Bajrang Bali, the Hindu god Hanuman. On the complaint against Sidhu, Nadda said, "The BJP delegation also met the EC for action against Sidhu. His comments in Purnia, Bihar, communalise and spread hatred among communities on religious lines, thereby committing blatant violations under Indian Penal Code, Representation of the People Act and Model Code of Conduct." In a memorandum to the EC, the BJP demanded that Sidhu be immediately removed from the Congress's list of star campaigners and be barred from campaigning. "Appropriate steps must be taken against him as a deterrent and to maintain the dignity of the democratic process," it said. Sidhu stoked controversy on Monday by urging Muslim voters of Bihar's Katihar Lok Sabha constituency, with sizeable population of the minority community, to vote en bloc and defeat Prime Minister Narendra Modi. The cricketer-turned-politician was canvassing in support of Congress leader and former Union minister Tariq Anwar. In a separate communication, the BJP also complained against a Congress advertisement, with the theme 'chowkidar chor hai' (watchman is a thief) in states of Chhattisgarh and Madhya Pradesh. This video is a tell-tale sign of the low levels the Congress's "dirty tricks department" is ready to stoop to in public discourse, it said. "The use of abusive language as done in the audio and video has no place in the process of elections in a democratic set up. This brazen, condemnable and cheap conduct of the Congress is in gross contempt of the process of peaceful, free and fair elections to which the purity and sanctity of Model Code of Conduct is non-negotiable," it added. The BJP also sought action against the agencies propagating, television and FM channels broadcasting the advertisement and demanded that it should not be used further.